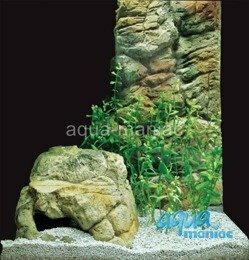 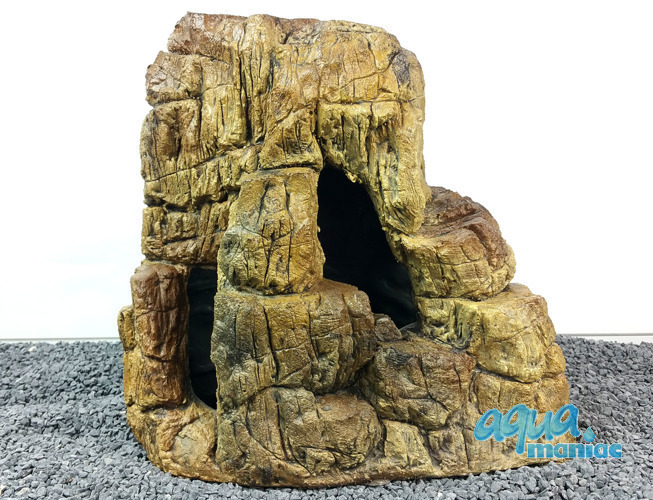 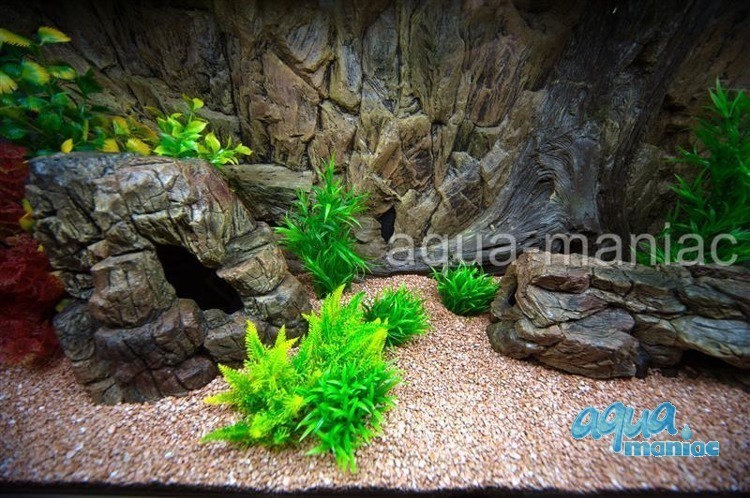 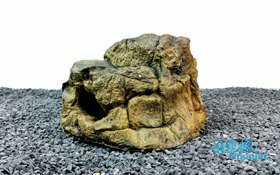 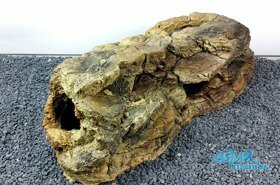 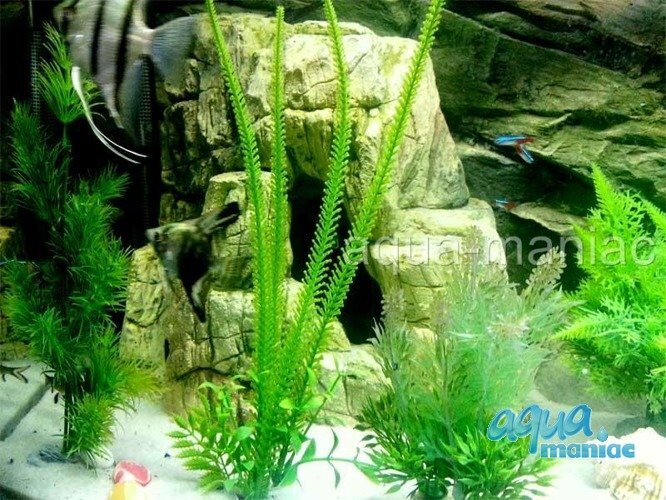 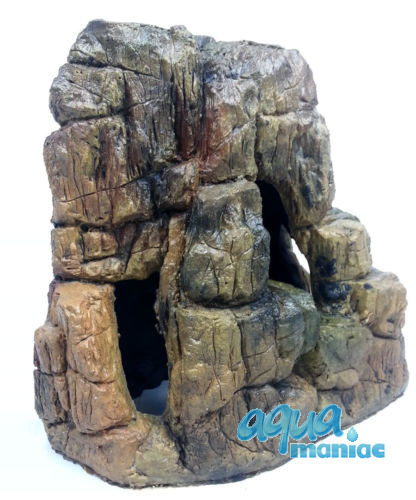 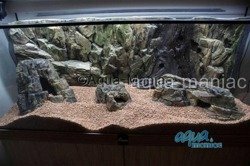 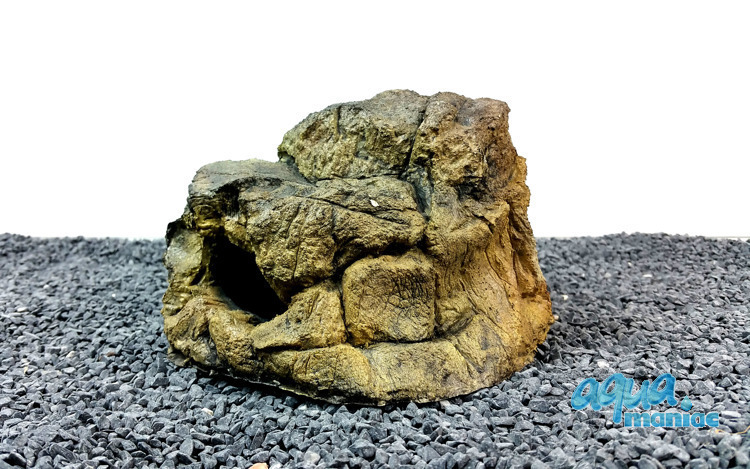 Fits medium fish tanks and provides hides for smaller fish. 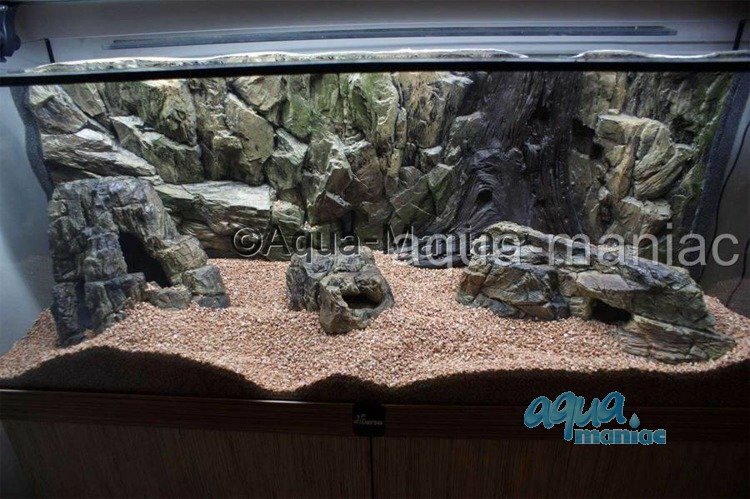 Empty inside and light. You save 10.33% ( 8.98£) when buying in a set. A natural looking ornament for any fish tank. Real rock look. Your fish can hide and swim trough the rock.